Doodle a day #105: So sad. Having visited Notre-Dame on several occasions, enjoyed its cool peaceful atmosphere, and sat in the lively Place du Parvis under the imposing facade, it was sickening to watch it live on the news this evening as flames rose from the roof tops. A majestic piece of irreplaceable history destroyed in just a few hours. So terribly sad to watch. 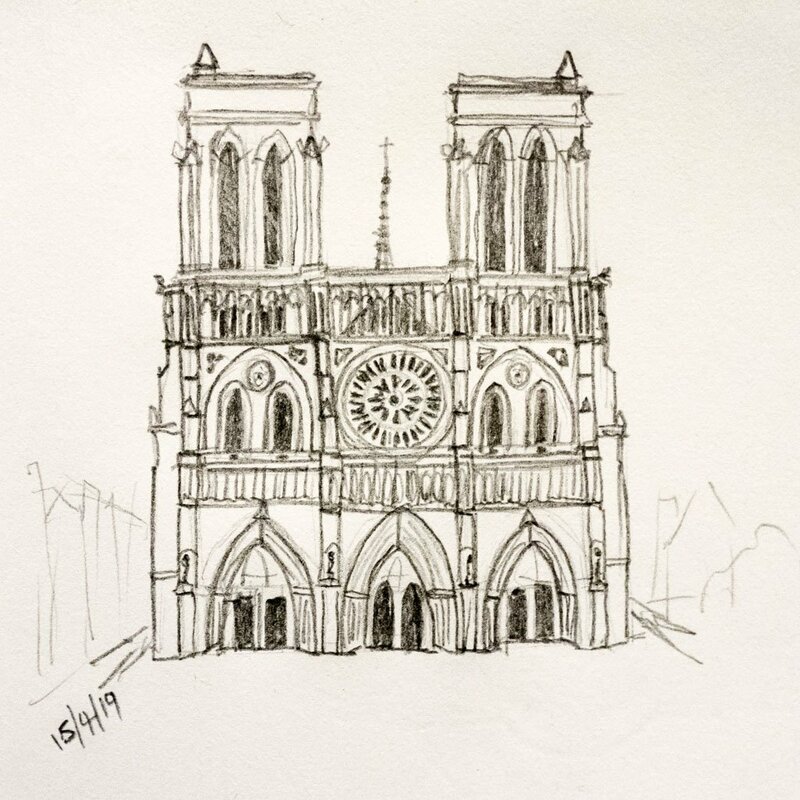 Here is my doodle of Notre-Dame.